In achieving proper clamp load to your assembled components, managing torque is critical to your process. 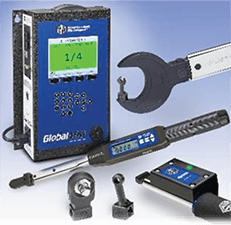 “You cannot manage what you cannot measure”….thus, torque verification equipment is vital to managing your dynamic torque production tools and auditing the residual applied torque of your assembled components. Industrial & Manufacturing Solutions is partnered with world-class vendors who focus on product innovation; extensive experience & knowledge relative to their core competency; and service – support recognized second to none. Our primary vendor partners are…. 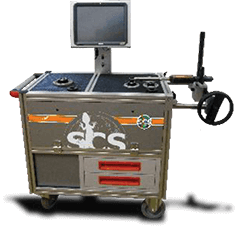 Joint Simulation Test Benches allow you to test power tools and torque wrenches using the same strategy programmed in the production line tooling as well as duplicating the actual joint characteristics. Freedom3 is a real multi-tasking digital torque wrench. It is the perfect wrench for Quality Control of tightening processes, for joint analysis, for the determination of the joint stiffness, for production as a backup of power tools, or for small productions, thanks to the possibility to perform all the Torque/Angle tightening strategies. 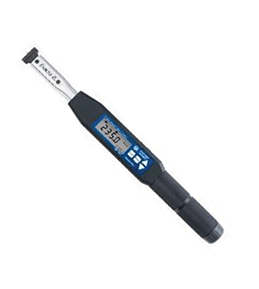 The patented angle measuring system, the large color touchscreen and the internal 1 Gb memory, drive the Freedom3 to recognition as the best performing and flexible digital Torque/Angle wrench on the market. With DataTouch3 data collector, Quality Control will become efficient, fast and easy. 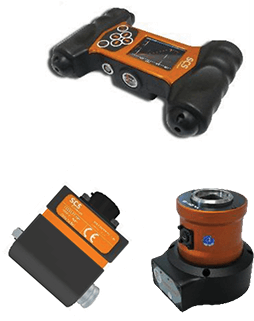 With connectivity (wired & wireless) to various types of transducers, the DataTouch3 is the perfect solution for tool-test and process-control. Given the wireless connectivity to the SCS transducers; the color touchscreen; the internal 1Gb memory; and automatic recognition of the connected transducer; make the DataTouch3 the forerunner of a new generation of data collectors. 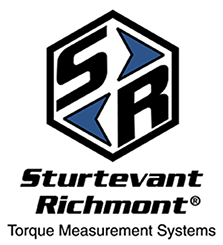 For over 75 years Sturtevant Richmont has been an industry leader with their innovative, robust torque product offering manufactured here in the US. Their business model has evolved from traditional mechanical production wrenches into Advanced Error Proofing Systems. The 3000-Series Digital Wrench incorporates a specially designed Exacta®2 Wrench controlled by Sturtevant Richmont proprietary software with communication & data export capabilities to your plant’s quality and/or MES. This streamlined capability eliminates inefficiencies associated with information & data handling; allowing you to focus on the integrity of your assembled joint. The Global 400 performs as a station dedicated process controller that organizes and directs operators, tools & tasks. Offering connectivity with your MES in multiple protocols via Ethernet, 24V I/O, & PLC; the Global 400 is a robust, flexible, cost-effective solution for Error Proofing By Guidance. The system can manage up to 16 torque tools & 8 “holding tools” tools in up to 100 parameter sets.